These pants make a statement in comfort, function and endurance. 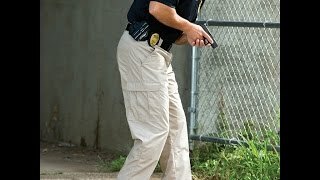 In fact, the Tac Force Pants pair enjoyable wear with tactical features so well, that they are an ideal garment choice for public safety professionals across the spectrum. A poly-cotton blend provides you with an unbeatable combination of tear- and soil-resistant durability and moisture-absorbing breathability. Perfect for the field or the range, these easy-care Tactical Pants will soon become a wardrobe staple. Ordered one pair to try out and can't believe how good these are. The fit is a little large so order one size around the waist small, they do stretch. Very comfortable and we're like a tank. In the process of ordering for more now. I recently purchased two pair of these pants. In size 30/30. They run true to size. In addition, there is no longer a snap above the zipper. It has been changed to a metal button with button hole that secures very nicely. Not overly heavy material either. Love them. Great pants for the price everything fit perfect except the pants do taper a bit down by the cuff... other than that I will buy a couple more pairs. Definitely a great purchase, price and quality. Order smaller! I usually wear a 33 in most Jean's and pants. Order a 32 in that case. A 30 may even be a better, slimmer fit. The waist will flex at least 3 inches it seems. I like these pants. However, they are quite stiff when new, and it will take numerous washings/wearings to get them to soften up a bit to be more comfortable, but for the price they are a good deal. I am a service technician, so I am often on my knees on concrete floors, and the knees have held up well. I have not had the problem of the button coming loose, as others have mentioned, but I do wear a belt with them, so maybe that helps. Rated a 2 because they are: 1) larger than they appear; I ordered size 30/30 and the waist seems more like a 34 or even possibly a 36. 2) They hold heat like none other. 3) the back pockets are velcroed in the center, which is a little annoying. On a positive note: 1) they are cheap in price but not cheap material. 2) the side pockets are huge. Overall I would NOT personally buy these again. My order arrived promptly and we'll packaged. These pants are really great. They are comfortable, have lots of pockets, and are made very durable. The best part of all, they are very affordable. I've shopped around and I've yet to find any one else who can match the price and quality. I'll definitely be purchasing these again. I love these pants. Have quite a few already. The last 4 pairs that I received had velcro on the 2 back pockets. I do not like this. Had to cur them off. Great value for decent tactical pants! The Galls tag on the leg was ripped and I cut part of it off. No big deal. ordered 2 pair of the tan, the snap dosent work too well, wear a belt and ur fine, I am ordering 2 more pair of the black, tan stains lol but overall they where ok ! Like the pants for what would be summer use. However, I apparently have either lost weight or the pants are larger than I thought as I will want to exchange for a next smaller size if available. I bought a pair of these and a woman's pair for my wife. I like them just as well as my 5.11 and Tru-Spec pants. At half the price of other tactical pants, I will definitely buy more. The pants are great they make a nice Alternative to 5-11's. If I were to say anything bad about them is maybe one more pocket need on the left side. Like the hide away pocket on the front right side. bought two pairs of these pants. Both pairs have a problem with the front snap staying closed. Any pressure at the waist, they come undone. I just received a pair and have not worn them. However, they fit just fine, plenty of room and do not need the elastic sides. They appear to be quality pants, good stitching, etc.. If they live up to my first impressions I will buy another pair. I was pleasantly surprised at these pants. I decided to try them because at 22.99 a pair, it's hard to pass that up. 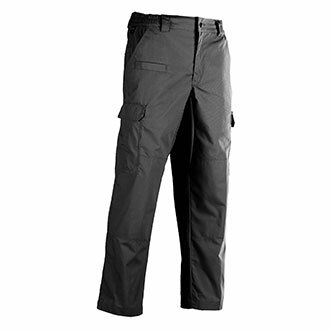 They have the look of 5.11s, the pockets and all the styling a of a modern tac pant. They have seemed so far to hold up well, my only catch is the fit. I wear men's sizes due to women's fit assuming that all women are short waisted, so men's fit slightly better. I wear one size in 5.11 and Tru-Spec and these seem to run large. So buy a size under is my advice, otherwise you'll need a belt. Well made and comfortable pants. Back and cargo pockets could be a little deeper.